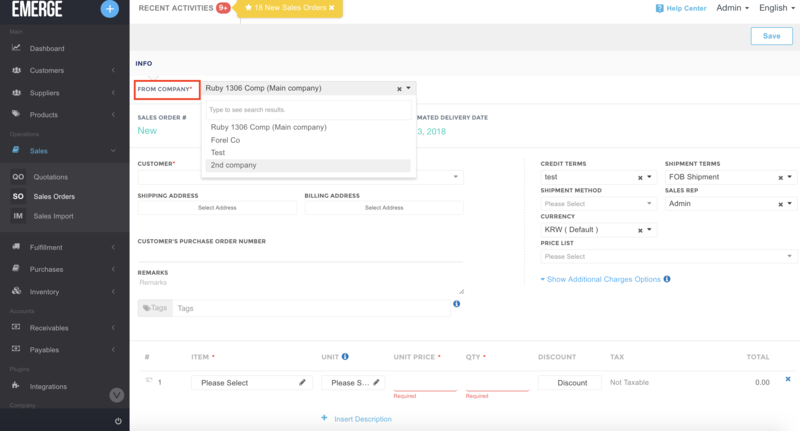 Many people run multiple companies at once nowadays, to issue the sales order or purchase order under another company, first you will need to add the company in Basic Settings. See the detailed instruction here. 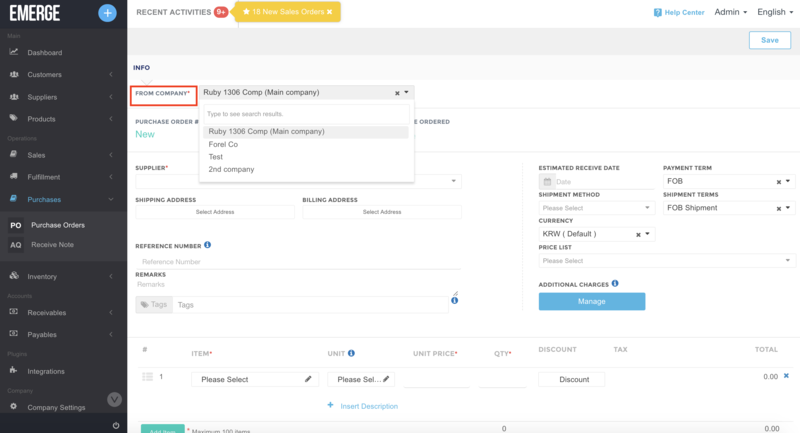 In the Sales Order, choose the company by clicking the drop-down list of FROM COMPANY field. Same actions with Purchase Order. 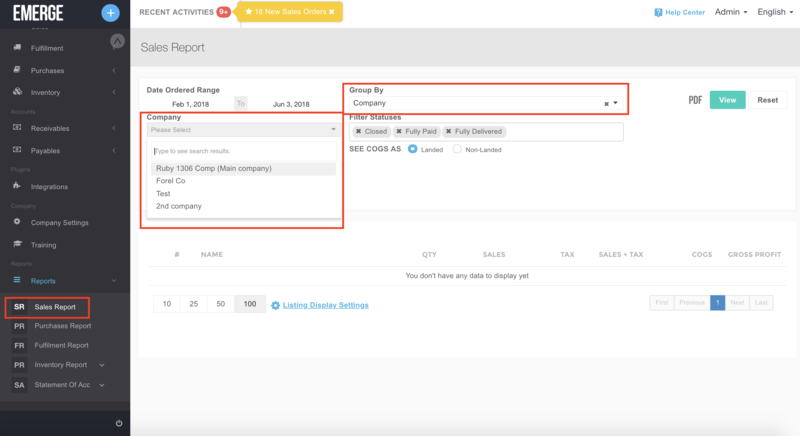 You can check the Sales Report by company by choosing Company type under Group By section, then choose the company from Company drop-down list.